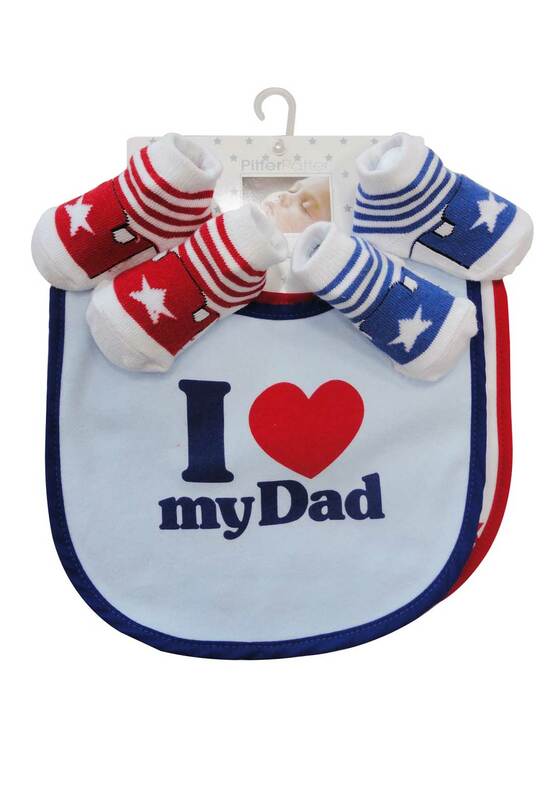 A wonderful gift for any new parent, who can never have enough bibs. 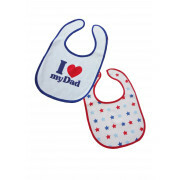 This matching set of printed bibs and socks in shades of blues and reds features star prints, and “I love Daddy” on one bib. Suitable for ages 0-6 months.